Google said this week that it will join several major tech companies who are participating in a protest day dubbed the “Battle for the Net” on July 12th. Google told Inverse it would participate in the Day of Action, a movement to protest the FCC’s plans to abolish net neutrality. Other sites confirmed are Amazon, Reddit, Mozilla, Kickstarter, and Pornhub, among others. The ACLU also plans to lend its support. The Google spokesperson who spoke with Inverse wouldn’t say what the company would be doing on the day, though. 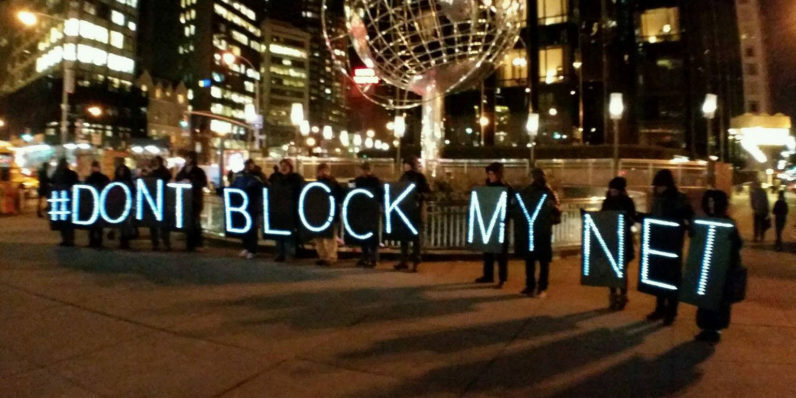 In fact, very few sites have been public about exactly how they’ll be protesting net neutrality. A few of the sites have specific plans listed on the protest site — some will send in-app messages, while others plan host videos and blog posts explaining the importance of net neutrality. The site also has modules that imitate dreaded “slow internet symbols,” such as the spinning loading wheel of death — the idea being the participating companies can put those up to give their users the experience of a world without net neutrality while not actually slowing them down. Pornhub plans to use this, to its users dismay. Hopefully they’ll do enough on July 12th to call people’s attention to the issue. Google definitely has the clout to make an impact, should it do so in the right way.